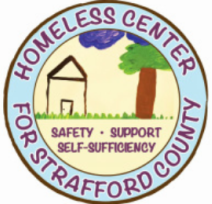 The Homeless Center for Strafford County (HCSC) provides community members and families with shelter, case management, and educational programs that lead to self-sufficiency and permanent housing. Our Vision is to provide the best evidence based, two generational approach to eliminating community homelessness in a dignified and respectful manner. HCSC is a volunteer-based 501(c)(3) organization providing services for homeless women and families during winter months. 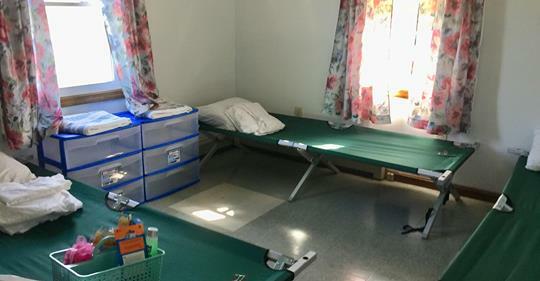 The Strafford County Emergency Shelter Coalition was formed in 1998 by a group of committed citizens who recognized the desperate need for family shelter during the coldest months in New Hampshire. For the first 3 years, the shelter was located in the Salvation Army gym in Rochester NH as an overnight shelter. 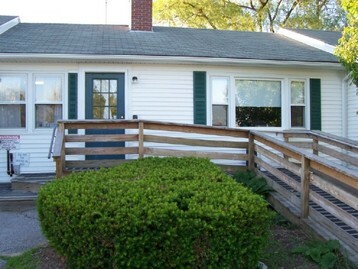 In the summer of 2001, Waste Management of NH donated the use of a 6-bedroom residential home. Over 80% of our homeless residents obtain either transitional or permanent housing. HCSC helps single women; single parents with legal birth certificates or court-appointed guardians of children; and families-married or not married- if both adults are legal parents of children entering the Shelter and can show birth certificates proving they are legal parents. In order to stay at HCSC, applicants must first contact Coordinated Entry (CE) at (603) 435-2448 to obtain a referral. To maintain our safe environment, we do not accept walk-ins. Please call CE and if no one answers, leave a message. CE will get back to you within 24 hours. The Caller ID number that will appear on your phone is (603) 435-2500. Jon Atwood joined the Board of Trustees in 2015 and has served as both Vice President and President during his time of service. He earned a bachelor's and master's degree from the University of Miami, and a second master's degree from the University of New Hampshire. Jon is an advanced analytics consultant for Protective Life Insurance Company, and lives in Barrington with his husband, daughter, cat, and two dogs. Jon is the past board president of HCSC. Brian Kunkel joined the Board of Trustees in 2018. He holds a Bachelor’s degree in Real Estate and Construction Management from the University of Denver, in Colorado where he started his professional career and worked for 10 years before returning to his home state of New Hampshire. Brian is the Vice President of Real Estate & Development for Crunch Fitness Franchise where he spearheads their national development efforts. Throughout the years Brian’s has been a volunteer and advocate for several animal shelters including The Colorado Humane Society and the New Hampshire SPCA. After many years of volunteering for the benefit of animals in need, Brian’s heart told him that he should also work just as hard volunteering to help humans in need, and decided to focus his efforts locally with the Homeless Center for Strafford County. He lives in Stratham, NH and is the single father to a nine year old son. Brian sits on the HCSC building, fund raising and strategic planning committees. Sharon Sewell joined the Shelter Board of Directors in July of 2018 and is the newly appointed Board Secretary. Sharon resides in Lebanon Maine and has worked for Eastern Propane and Oil for the past 27 years – currently as a Professional Sr. Business Analyst. After volunteering for many boards and activities while raising her children and then taking a hiatus, she decided it was time to give back to the communities that have played such an important role in her life. “I have seen people close to me struggle with homelessness and long-term residence insecurity. I feel as a community we need to assist families by providing a safe place to sleep at night while helping them achieve long term success.” Sharon sits on the strategic planning and fund raising committees and is designated as the board's secretary recording all meeting minutes. Brian Therrien joined the Board of Trustees in 2014 and currently serves as the Treasurer. He holds a Bachelor’s degree in Accounting and Business Management from New England College and an MBA from Southern New Hampshire University. He is the Chief Financial Officer of Holy Rosary Credit Union. He lives in Dover and loves spending quality time with his wife, two daughters and two feline companions. Brian is a member of the executive committee and is the board treasurer. Kathleen (Kathe) Levesque joined the Board of Trustees in 2017, serving as the Board Secretary. She is the newly elected Board President for the 2018-2019 term. Kathleen grew up in the greater New York City area, where she pursued a bi-lingual business degree and worked in International Business Management Consulting prior to raising her family. She has also lived in California, Oregon, and Maine prior to settling in Rochester in 2001. Kathleen is an executive administrator working with the command staff for Chief Robert Merner of the Portsmouth Police Department, where she has worked for 20 years. She started her career with the Department in the Family Services Division of Detectives, which gave her firsthand experiences with exploited and neglected children, families in crisis, and people who are marginalized. “I saw the importance of advocacy; New Hampshire has an engaged and thoughtful network of social service stakeholders. Often, it was the advocacy of individual law enforcement officers, and the collaborative efforts of providers that was the change agent in the life of individual children or families. Serving as a trustee for the Homeless Shelter allows me to help advance its mission, and provides opportunities for effective advocacy.” Kathy is the board president and also sits on both the strategic planning and executive committees. James P. (Jim) Shannon is an attorney in Rochester, having moved to our city after graduating from Notre Dame Law School in 1993. Jim's practice focuses on business and real estate matters. A former Captain in the US Air Force, Jim has served on numerous civic organizations in our community, among them being the Rochester Chamber of Commerce, the Rotary Club, St. Eliz. Seton School Board, and the St. Mary's Church Building Committee. Jim joined our Board of Trustees in 2016 (I think??) after seeing and feeling the affects of the "Great Recession" on individuals and families in our area. Jim and his wife Sue are blessed with four adult children, and reside in Rochester. Jim sits on the building committee for HCSC. Brant Dolleman joined the Board of Trustees in September 2018. While born and raised in Maine, he has been connected to Strafford County via friends and family throughout his life. He graduated from Carleton College in Northfield, Minnesota, with a bachelor’s degree in American Studies. Brant is a lieutenant with Dover Police Department, where he currently supervises the department’s Special Services Bureau. In his spare time, he enjoys travel, good food, reading, and playing soccer. He and his wife reside in the City of Dover. Brant heads the strategic planning committee and is the media contact for the Board of Trustees. Jim Korth became a board member after becoming aware of the Homeless Center through his work at Turbocam, a huge supporter of our shelter. Jim was looking for an opportunity to make a difference in the lives of our community members and as he learned more about the Center he offered his services. Jim has a background in engineering and resides with his wife Gail in Barrington New Hampshire where he enjoys lakeviews each day!. Jim sits on the strategic planning committee. Rachel Gilman joined the HCSC Board of Trustees in 2015 and has served as Chair for their Annual Spring Fling. As a Realtor with over 20+ years of experience, Rachel is a community leader and advocate for families who need help finding affordable housing and gaining access to a permanent home. 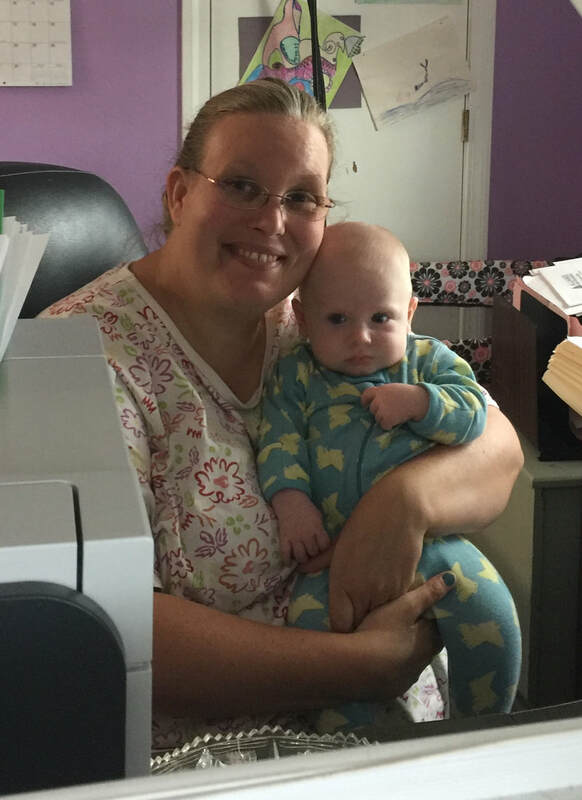 Rachel has devoted her time helping causes she cares about, while also having an active role in raising her two children. She was a member of the PTA, an active parishioner of St. Leo's church in Gonic, kindergarten and CCD teacher, and Booster mom. She also served on the Board of Directors for Holy Rosary Credit Union and was past Treasurer. She now serves on the Supervisory Committee for HRCU. Rachel is a licensed Realtor in NH at RSA Realty LLC. She and her husband Doug, who is retired from the PNSY, live on Merrymeeting Lake in New Durham. She has two grown children and two young grandchildren. Rachel is the Vice Chair of the Board, sits on the building committee and the fund raising committee. Pete Martins and his wife Melissa became volunteers at the Homeless Shelter for Strafford County in January of 2018. Both of them are passionate for helping others and are happy to support the local community. They both enjoy spending time forming relationships with the residents of the shelter and helping with projects when needed. After a year of volunteering, Pete felt compelled to join the Board of Trustees and find a way to become more involved in the organization. He became a member in the winter of 2019. Pete is a Manufacturing Engineer at Pratt and Whitney in North Berwick, ME. Pete and his wife bought their first home in Barrington, NH in the fall of 2017 and happily share it with their dog, Bo, and two cats, Naya and Brook. Peter sits on the strategic planning committee and is the board facility expert for the current property.